Edith Royal said Coach Royal got the idea for the "T" ring from his idol, Oklahoma coach Bud Wilkinson, who wore a block "O" ring for Oklahoma. 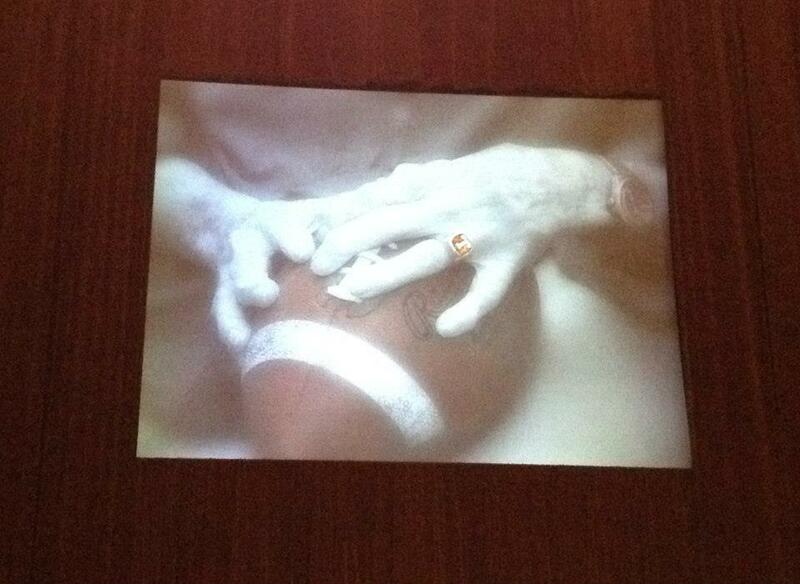 Royal mirrored this OU tradition by designing a "T" ring to present to all graduating letterman. THE NAVIGATION TOOLS TO THE CONTENT OF THE WEB SITE ARE AT THE TOP OF THIS SCREEN. THE SITES ARE "QUE" , "FAN", "TLSN", "SPORTS", "ARTICLES", "ICONIC", "MISSIONS", "LOST TOO SOON", "SENTRY", AND "DONATE". The T-Ring was first introduced to Texas athletics during Coach Royals first season as head coach at Texas (1957). Royal created the unique award to recognize the student-athlete who lettered and graduated from UT. Head coach Mack Brown embraced that tradition when he arrived at Texas in 1998 and continued to stress its importance, often stating that the Texas experience is not complete without the T-Ring. "We're really excited about how hard our guys work in the classroom," said Brown. "Seeing them earn their degrees and pick up their T-Rings is as rewarding as all of the victories they've helped us get on the field." In Jenna McEachern's book 100 Things.... she says Royal paid for the rings out of his pocket. When asked why he paid for the ring he said "The players need to know it's important to me. I want those boys who graduate, even if the only reason they do is to make the ol' SOB pay for the ring." 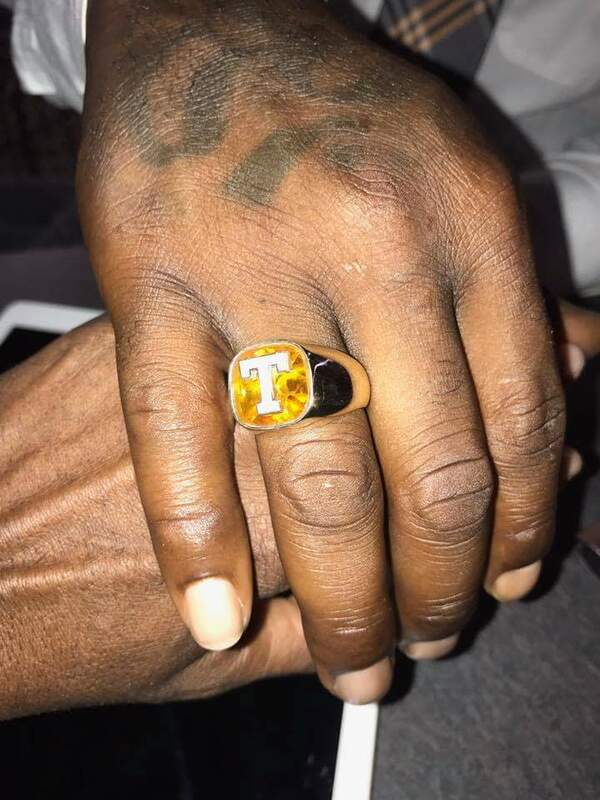 The "'T' ring is also presented to honorary "T" men who are key benefactors and/or special individuals who have helped make Texas great but who did not graduate or letter at UT Austin. Coach Fred Akers, Coach Mack Brown, and DeLoss Dodds are a few representatives of this group. In 1996 the UT Athletic administration decided to present the T-ring to all qualifying athletes in all sports- not just football. The football T-ring still is designed with a topaz color stone with the "T" in relief. The "T" ring in all other sports contains a orange stone with the "T" in relief. Bobby Gurwitz said "Having played at The University is like a badge of honor. I don't carry a card that says I played at Texas. I just wear that 'T' ring that Coach Royal gave us, and that is identification enough." Keith Moreland stated "I've got a National Championship ring for baseball and a World Series ring, and the 'T' ring is just as important to me as those other two." Gene Powell -the past Chairman of the Board of Regents for the UT system- says about the T-ring. "Billy-When I read your article this morning I quickly ran through a mental list of my early successes in life and thought about how all of them led up to my T-Ring and how the T-Ring then led to numerous other achievements ..........." "I always wear the T-Ring on my right hand and that means that I earned that ring with four long, hard, brutal years of work and that the ring came from someone all of them highly respected" (DKR). Article below is on TexasSports.com- The official website of UT Athletics. Rings are often used to commemorate a large achievement. Whether it is a class ring from high school or a National Championship ring- each have symbolic, physical, and intrinsic value. The "T ring represents all of these qualities. "I don't want to take anything away from the National Championship ring or other season rings, but this ring embodies the whole college experience for me." That is why it is so special." . DKR's emphasis on the importance of the T-ring reveals a special quality in his character. Coach Royal was committed to academics. He was convinced that his duty went beyond athletics, and it was his responsibility to make sure the players were prepared for life after football. I mean, I don't care if you were a starter or what. That is why he hired the first Academic Counselor in the nation. While he took great pride in winning football championships, he took greater pride in the players winning their scholastic championship. Four out of every five players who lettered for Royal graduated. Jack Collins, halfback, 1959-1961 learned the hard way about Royal's commitment to education. Jack says "One week--the week of the OU game--I cut a class. And I remember having to run stadium steps with Frank Medina at 6:00 in the morning. 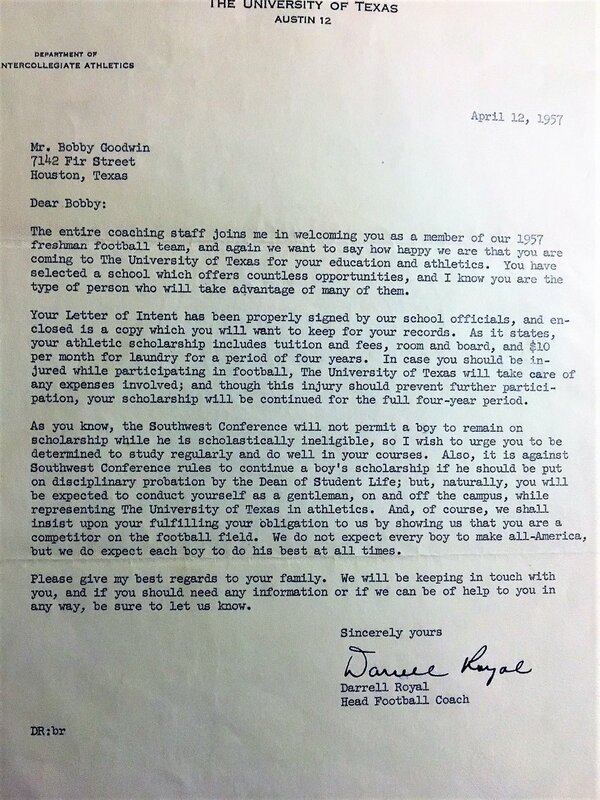 Starting his first year at Texas in 1957, Coach Royal made sure his athletes understood the importance of an education. The letter below was sent to Bobby Goodwin. 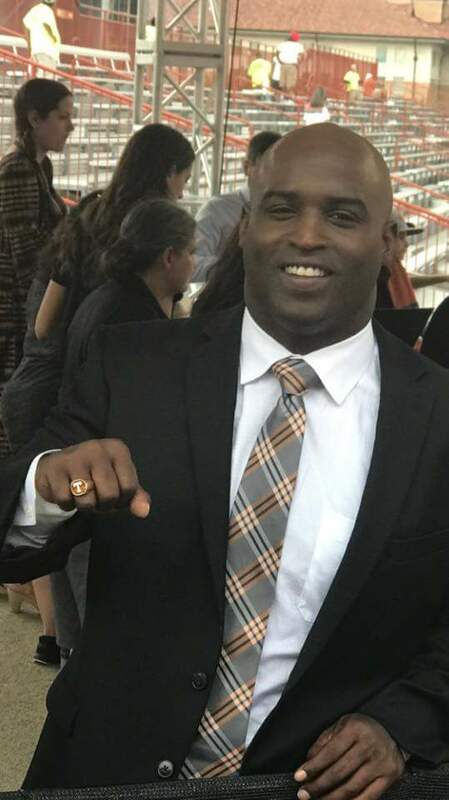 I agree with Dallas Griffin's comment that the T-ring represents the total experience of being a Longhorn athlete and student. However, each individuals experience is different. For me, playing football and graduating from Texas was rewarding but difficult. My years as a student athlete were filled with discouraging moments, setbacks, and struggles. Frank Denius in his book On the Way captures the essence of the T-ring for many recipients. He says "there is a purpose in our hardships, because they demand persistence and determination to overcome. Adversity and difficulty often draw out qualities in a person that otherwise might never be realized and incorporated into a useful live." Page Elizabeth Bauerkemper in her 2013 report titled Beyond Sports: A Guidebook for Potential Collegiate Female Student -Athletes also confirms Franks observation. She says " Many of the lessons and experiences that come from participation in athletics are career transferable skills. Competing with a team improves communication, leadership skill, toughness, and reliability. Athletics teaches many life lessons, including how to try again after failure, triumph with class, and the advantages of going the extra mile. All of these skills and attributes are valued by employers and can enhance your career." Many student athletes every year overcome injuries , obstacles ,and hardships to fulfill their dreams of graduating and earning their T-Ring as a Longhorn Letterman. This group of men and women possess a special spirit, focused commitment, and an irrepressible passion to have an equity stake in the Longhorn heritage that shapes the present and empowers the future. As I look at my T-ring 50 years after earning it, Frank Denius and Gene Powell's words resonate with me. Looking into the burnt orange stone with the white 'T' in relief is like looking into a crystal ball that reflects my past instead of my future. My reflection in the T-Ring confirms that overcoming hardship is an important benchmark for a successful life journey and validates my "four long, hard, brutal years of work".